Some home details are just so lovely they just have to be replicated. 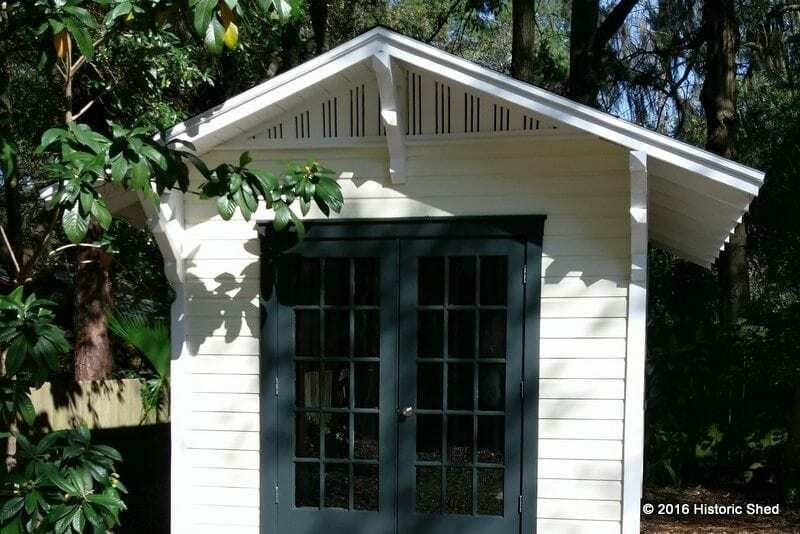 For this 10'x12' shed that Historic Shed built in the historic Duckpond Neighborhood in Gainesville, Florida, the eave brackets and unique gable vents were replicated to create a one of a kind shed. 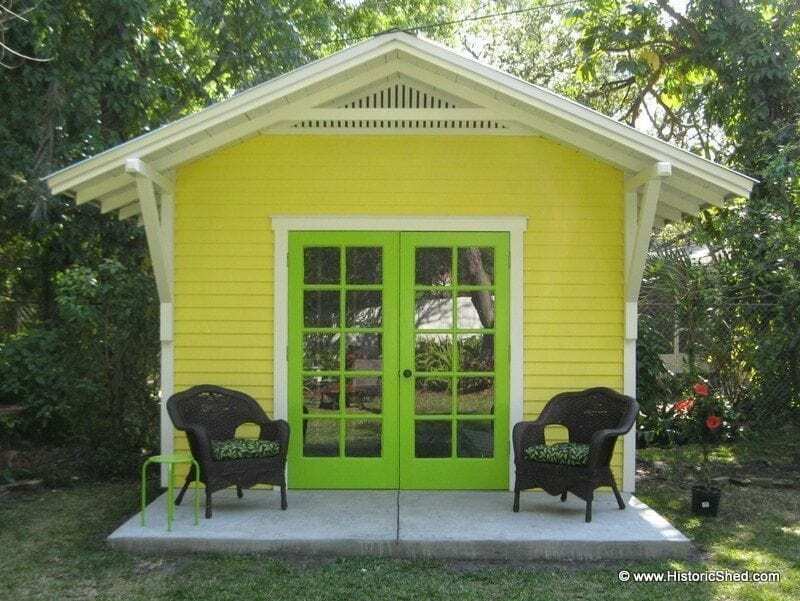 The result is a main house and shed that harmonize very well. 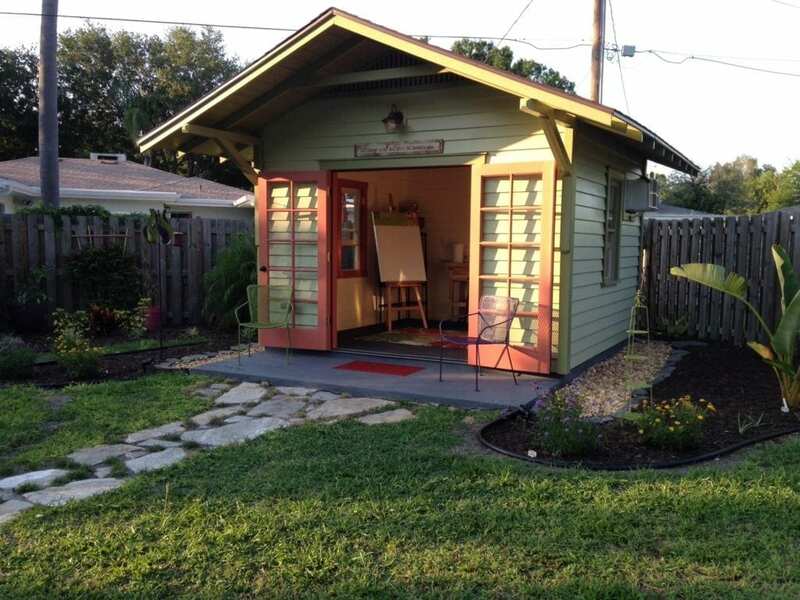 The shed design was reviewed and approved by the local historic preservation office. Every time we are approached by an artist in need of a studio, we end up with a unique shed design that is worthy of showing off. 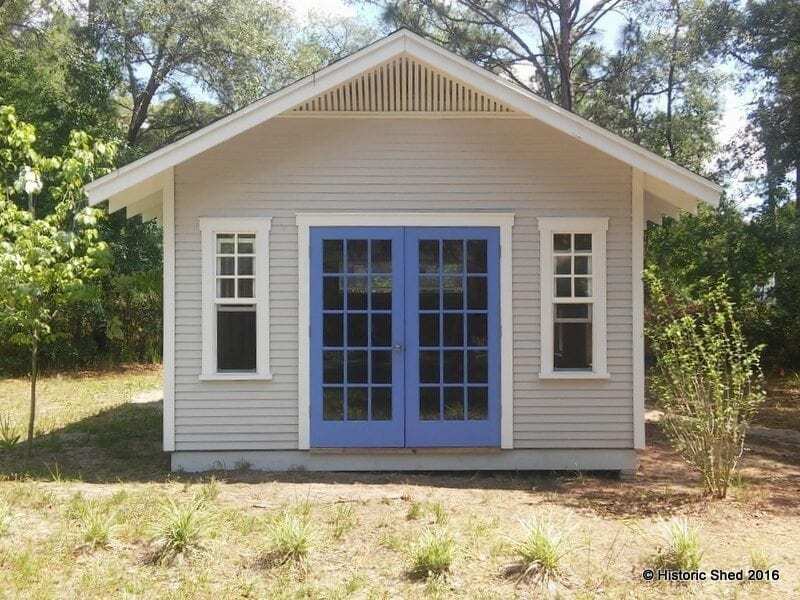 In this case, a local artist in Citrus County requested a fairly large 14'x16' shed with lots of windows. The design has great balance, is filled with light and looks lovely with a great set of accent French doors. 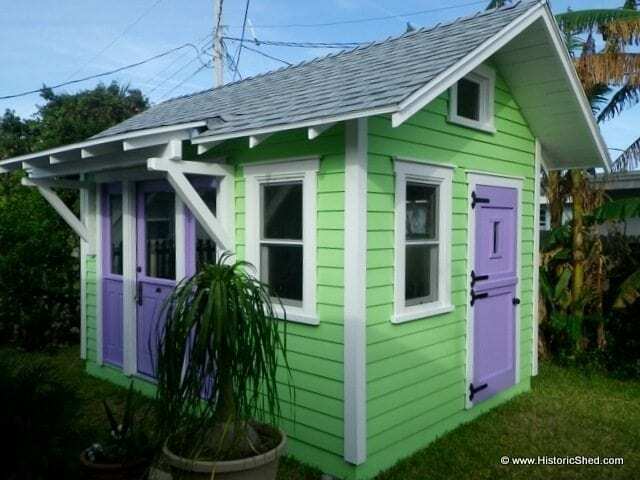 It will serve as a great "She Shed" for the owner. 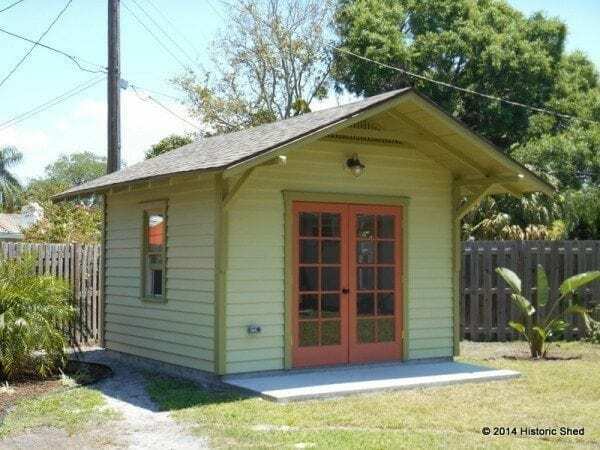 Historic Shed was contacted by an artist in Ormond Beach, Florida to design and build a unique shed to be used as an art studio. 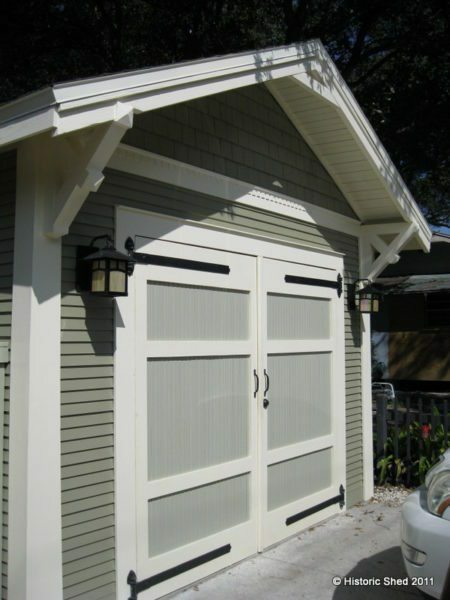 The studio shed incorporates a salvaged wood door with sidelights, a dutch door and lots of windows. To top it off, it has a fun color scheme, perfect for the beach location. 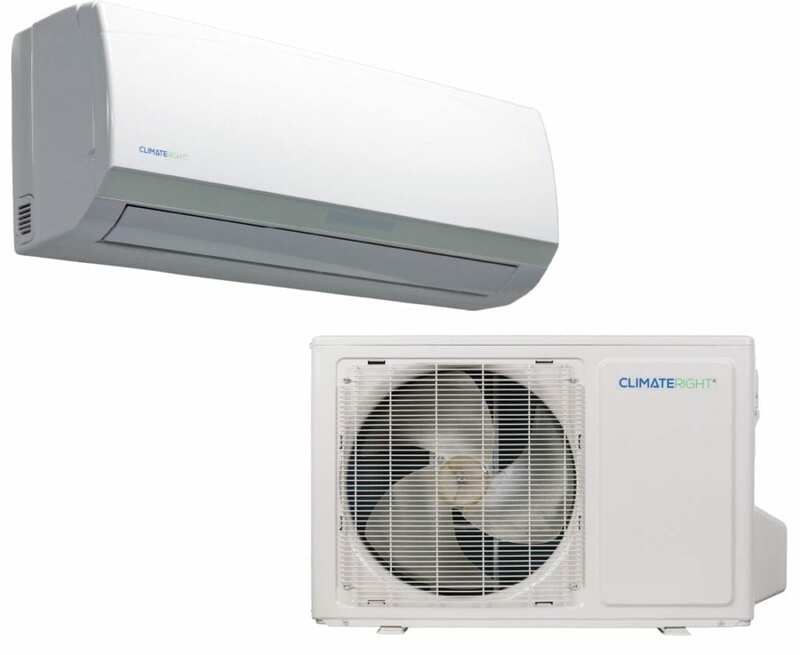 Subscribe to our E-newsletter for the latest updates.